You wake suddenly from a deep slumber. Your heart pounds against the wall of your chest. Beads of sweat run down your face. Or was it? Something just doesn’t feel right. You rush to the computer. You try to reach Facebook. Nothing. Panic sets in. You weren’t prepared for this. All that time you’ve spent building up your fan and follower counts, and now there’s nothing to show for it. Everyone is gone. Welcome to the social media apocalypse. 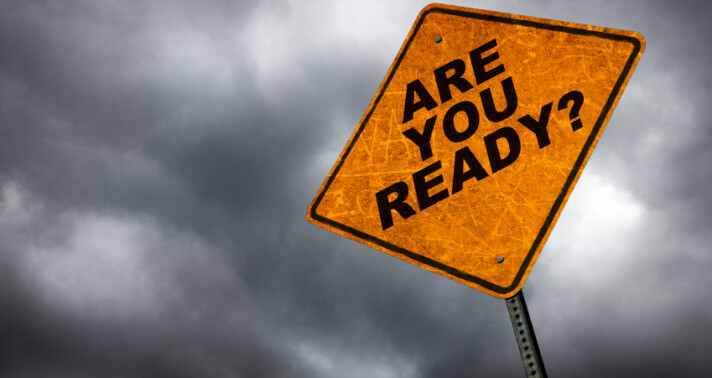 Will you and your business or organization be able to survive? Think about this for a moment: To date, you’ve done everything right — you’ve built up your fan and follower counts, you’ve created engaging content, and you have yourself a passionate community. But that’s where it ends. You’ve done nothing to move your biggest fans and followers to a turf that’s your own and not rented from the likes of Facebook, Twitter, or any other social networking site of the day. How will you survive if the social networks go away? Perhaps it’s unlikely that a giant like Facebook shuts down. But what happens when they make a change that limits your ability to reach your connections? Take, for example, Facebook’s EdgeRank algorithm. At any given moment, only a small percentage of your fans actually see the updates that come from your Page. You’re playing on Facebook’s terms. Wouldn’t you rather be in control of your own marketing survival? If you’re like me, you don’t have a lot of time to waste. But that’s exactly what people do when they treat social networking sites like Facebook as the destination for their marketing rather than a gateway to their own organization’s fallout shelter, if you will. In order to prepare yourself for the apocalypse, you’ll need to think in a more holistic manner. Much like someone stockpiling supplies, you need to focus on using all your online marketing resources to bring fans and followers to your turf. Continue as you normally would by engaging your fans and followers on these different social networks, but on occasion, offer something special in exchange for someone joining your email list. This could be a sweepstakes, a coupon, or a perhaps a special report. Use social networks to bring people to your email list so you can take full ownership of your connections. Use your email list to encourage people to connect on your social networks so you stay top of mind and reach their friends through social interaction. This leads to the cycle repeating itself, growing your social networks and your email list at the same time. Don’t just limit yourself to online interaction. It’s a great place to start conversations, but the best place to continue them is offline. Face-to-face events allow you to deepen ties with your audience. What do these relationships mean to your survival? You’ll find that those who take that next step to connect with you on your turf become your best customers and biggest supporters. And when all your marketing resources are working together — online and offline — to move people beyond the social network to the next level of connection you’ll always have control over how and when you connect with your audience. You’ll find yourself able to survive, while others cower in the face of a social media apocalypse. How are you using social networking sites to move people to your turf? Tell us in the comments below. Need some great ideas for building your email list? Check out our List Building Starter Kit.